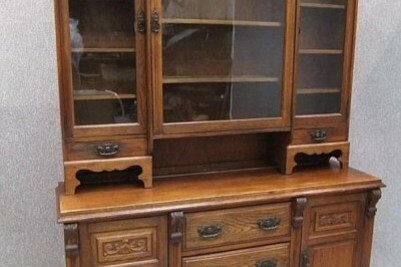 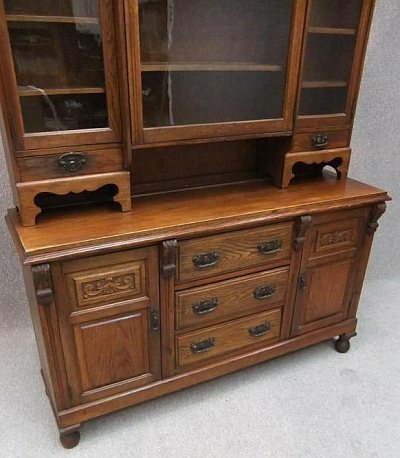 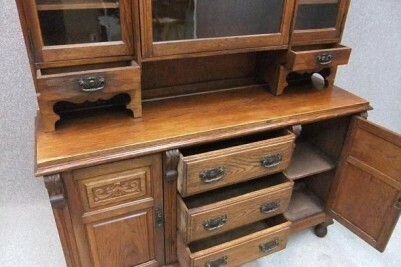 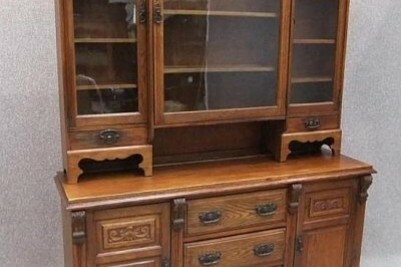 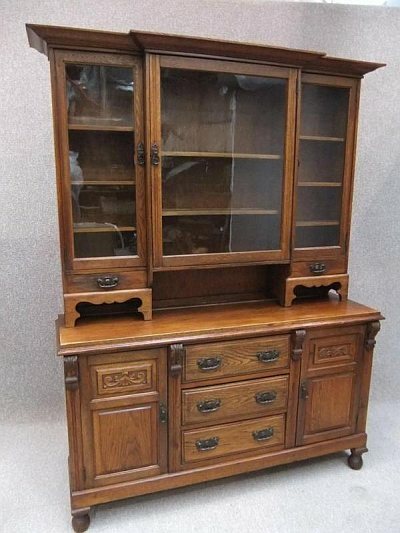 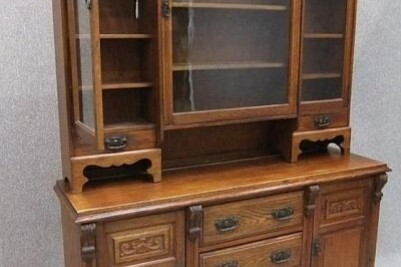 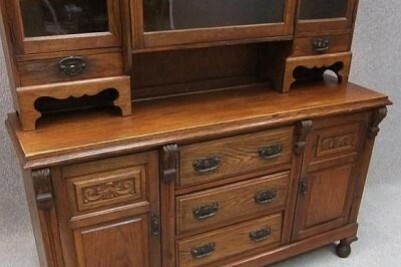 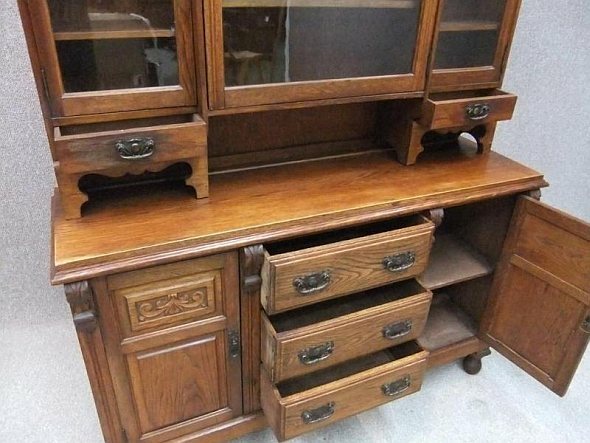 An elegant, circa 1900 arts & crafts influenced oak dresser/bookcase. 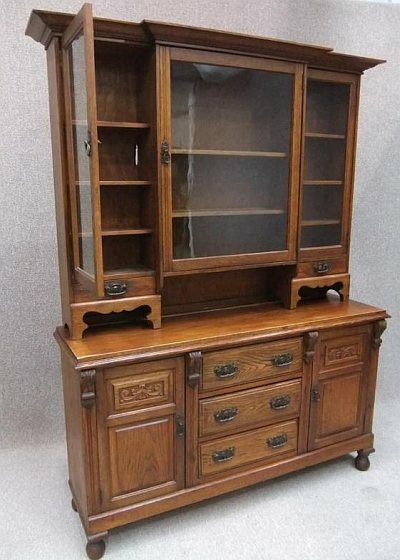 This beautiful piece of furniture features an out swept cornice with glazed top section in breakfront design. 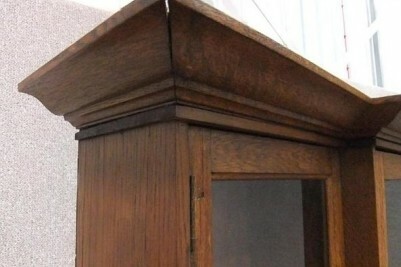 This section has three large glazed door all fitted with internal shelves. 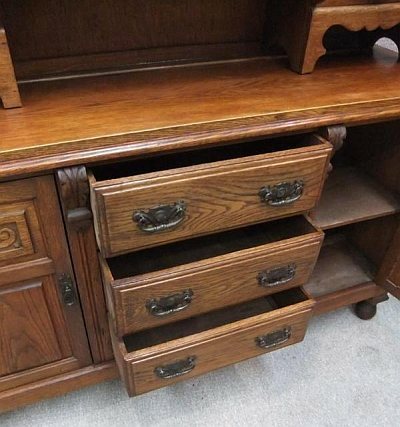 The outer sections have two small drawers for stationary etc. 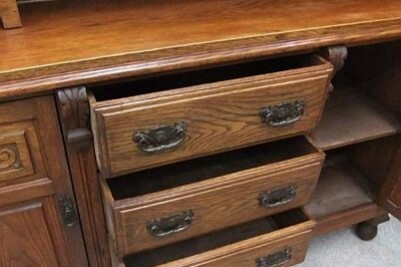 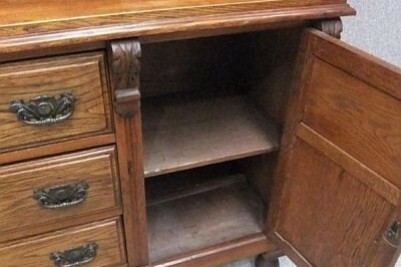 The base section has a bank of central drawers all fitted with their original handles. 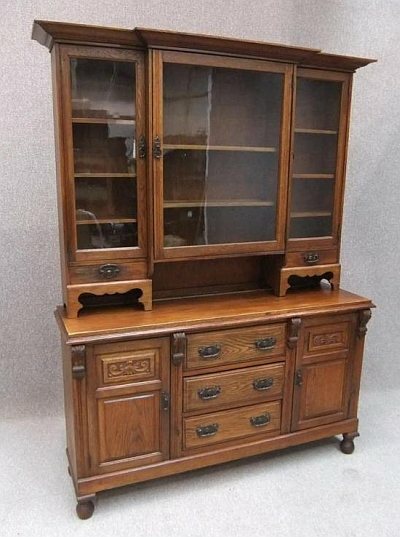 This is flanked by two decoratively carved side doors, which open to reveal large storage areas with a single shelf. 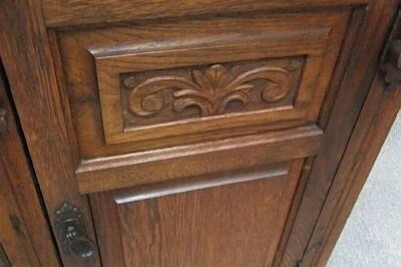 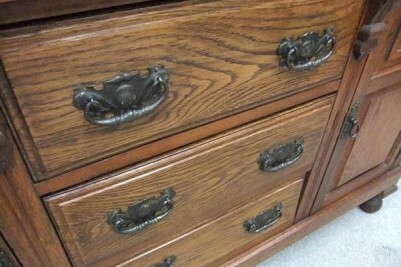 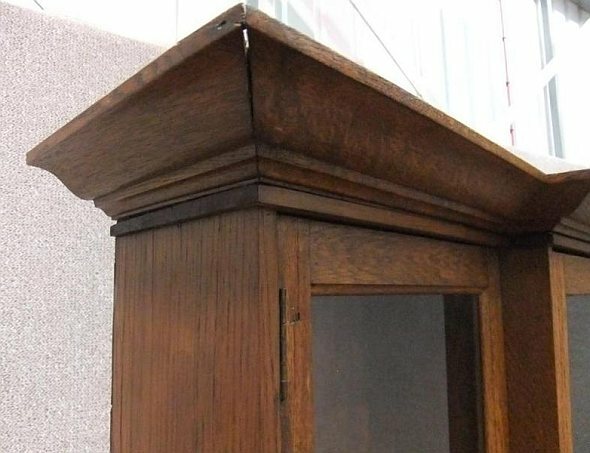 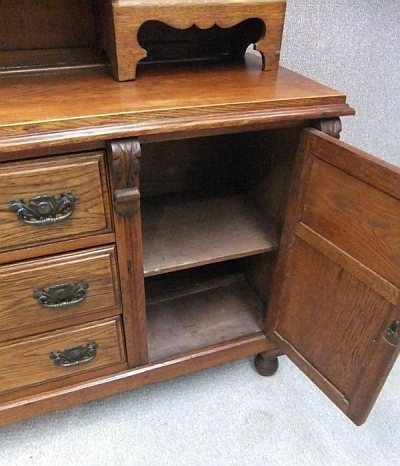 The item is in lovely condition for its age, and is in a medium oak colour. 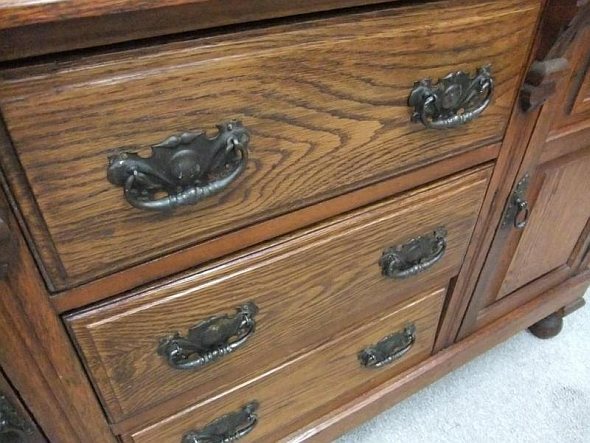 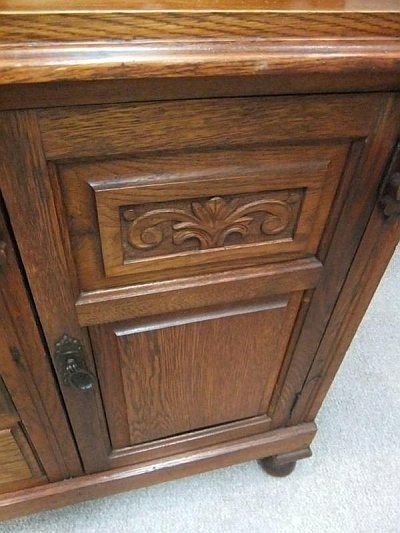 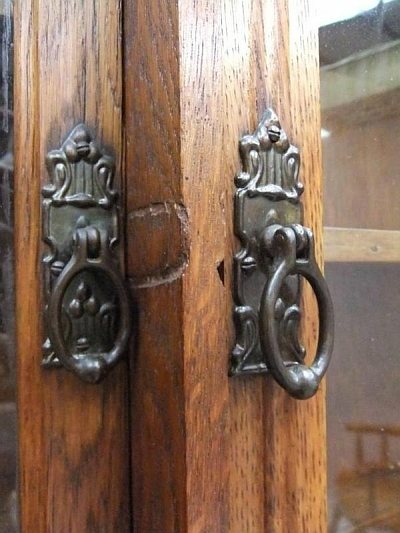 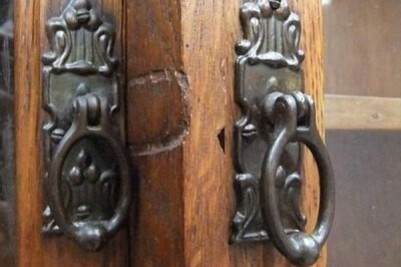 This piece shows small signs of wear and tear which is apparent from antique pieces of furniture.